World No Tobacco Day in an effort to draw attention to the risks of tobacco use and move towards safer and better public health for all. 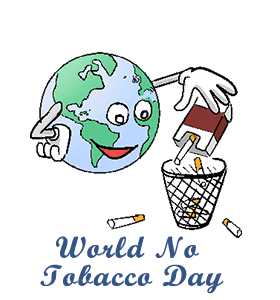 Since then, World No Tobacco Day has evolved into an important annual event that generates awareness for other tobacco related issues such as illegal trade, secondhand smoke and tobacco control. --Think about your health. Quit smoking or encourage others to do so. Many help books are available online to coach you through the withdrawal and help you find alternative solutions to the cravings. --Educate youth and teenagers in your neighborhood about the negative effects of smoking and encourage them to quit if they have already picked up the habit. 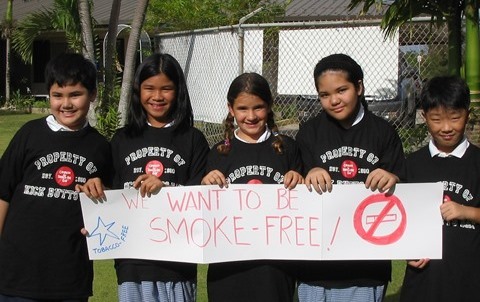 The best way to eradicate smoking is by educating the new generation of the negative effects of tobacco use. --Volunteer for the Freedom from Smoking program or another like program that helps smokers quit. --Watch a movie or documentary about smoking and tobacco. Our favorites: The Tobacco Conspiracy, We Love Cigarettes and Passion for Cigarettes. --Lobby for stricter tobacco advertisement laws and smoking laws in your community. Tobacco companies continue to be pressured legally to disclose the negative effects of their product and your help in supporting this legal action can lead to even stricter laws. Tobacco, a brown product prepared by curing the leaves of a tobacco plant, is believed to have originated thousands of years ago somewhere in the Americas. It was later discovered by Christopher Columbus and subsequently introduced to the rest of the world. Tobacco contains the alkaline nicotine, a stimulant which makes tobacco very addictive. Tobacco use is known to cause a myriad of cancers and according to the World Health Organization, is the largest preventable cause of death and disease today. 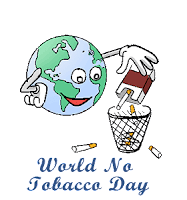 World No Tobacco Day Notes. --According to the World Health Organization, nearly 80% of the world's 1 billion smokers live in low and middle income countries. --Arsenic, lead and tar are just three of the 7,000 chemicals that are found in tobacco smoke. --In 2015, 15.3% of American women smoked, compared to 20.5% of American men.